Everyone has heard of “The Everglades National Park”. But did you know there is another , equally beautiful, tract of land just east of the Everglades called Big Cypress National Preserve? What’s the difference between a national park and a national preserve? Land use is restricted more tightly in a national park, for example you can not legally hunt in most national parks, but you can in national preserves. Big Cypress was the first national preserve, established Oct. 11, 1974. Steve and I recently spent 10 days exploring Big Cypress. We stayed at Burn Lake Campground which was a perfect jumping off spot for our day trips. There are no services at Burns Lake (electric, water or sewer), perhaps that is why it was so much less crowded than some of the other campgrounds. 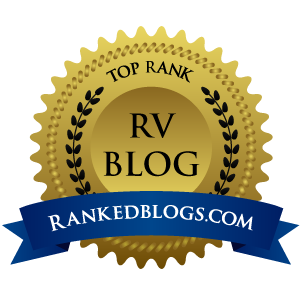 With only 10 RV sites (sites 1 & 2 are reserved for camp hosts) and 6 tent sites crowding is seldom an issue. Several nights during our stay, we were the only RV in the campground other than the camp hosts. No matter where you travel within the park, you are guaranteed to see 2 things – alligators and birds! What else is there to see and do? Stay tuned for Part 2! Wow, your bird photos are fantastic, and what great luck with the osprey being so close! I am with you though on the alligators. I’ll stay much more than 10 feet away, thank you very much. That’s why God invented zoom lenses! Great photos! Thank you. The osprey was definitely a very cool experience. The only alligator that startled me was the one I didn’t see until I darn near stepped on it. It went one way, I went the other! Thanks. It really is an awesome place. So much to see and do. Previous Previous post: Not nearly long enough!